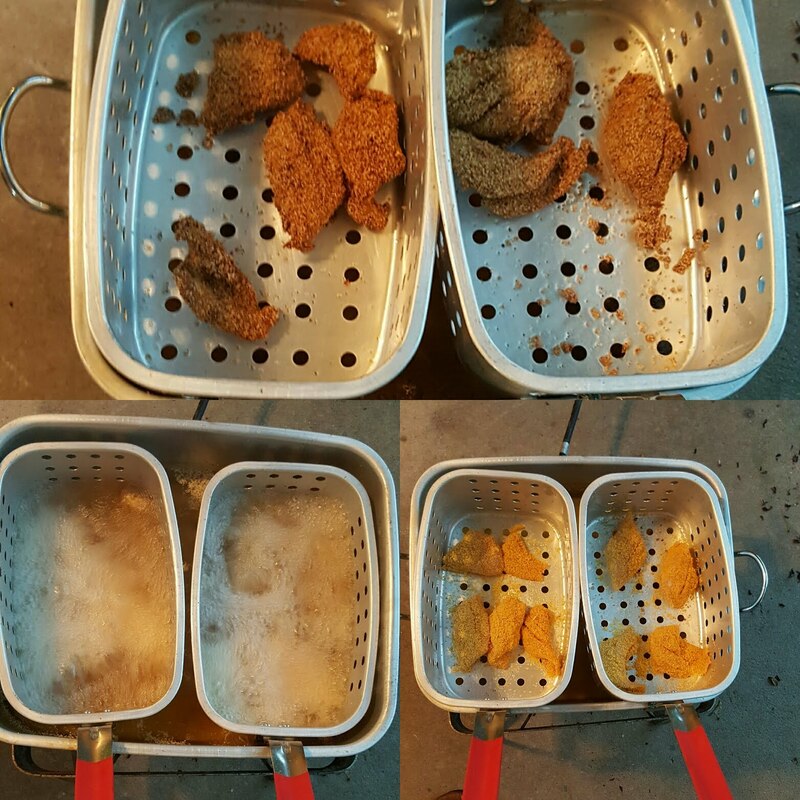 Over the weekend we had a fish fry with some of the fish I caught in Hackberry. Some friends came over and helped us eat all the food. We kept it pretty simple. Just fish and some fries. I like to use a doubled up brown paper bag to shake the fish in the seasoning. Everything turned out great, and I have been able to enjoy some leftover fish for lunch a few days this week. There is even talk of using some of the extra fish for tacos later on this week. The picture below is from this weekend, which makes me wish I was better aboutt taking pictures back in school. I was looking through old recipes and came across a Guinness beer batter I had for one our of big fish fries back in college. I remember it turning out really well and really need to try it again. One thing I remember is that it has a tendency to stick to the basket. 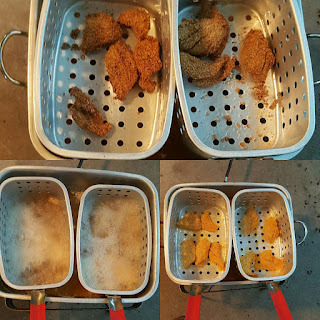 We got around that by dropping the basket in the oil first, and then dropping each piece of fish in the oil individually. The recipe itself was inspired by the fish and chips at a bar we would go to in school. They used Newcastle Brown Ale and we really wanted to try a different flavor. Combine all ingredients in a bowl. Hand batter the fish. Heat the peanut oil to 375 degrees. Most people will do 350 degrees, but the temperature will drop as soon as you put the fish in. Drop the basket in to the oil. Drop each piece of fish in to the oil individually. When the fish turns gold brown, usually about 5 minutes, it is ready to come out. Let it cool on paper towels and it is ready to eat.